As the party season approaches we have sourced this beautiful dress by Vera Mont in elegant black with a stunning floral design featured on the bodice. The dress has been tailored to a classic shift style, sleeveless and closing to the back. The bodice wraps around the body and falls open at the back to create a lovely finish. 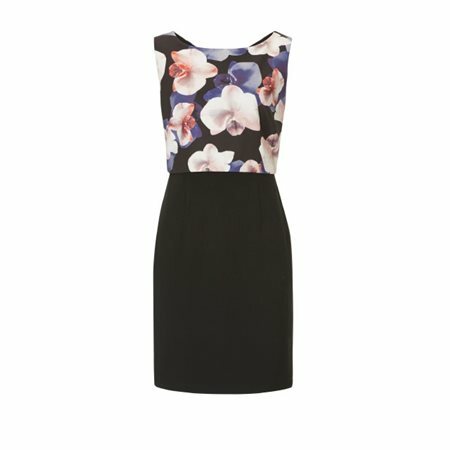 The floral design in blush, blue with hints of coral adds a touch of colour. Simply wear this dress with black stilettoes and you will be ready for any occasion.